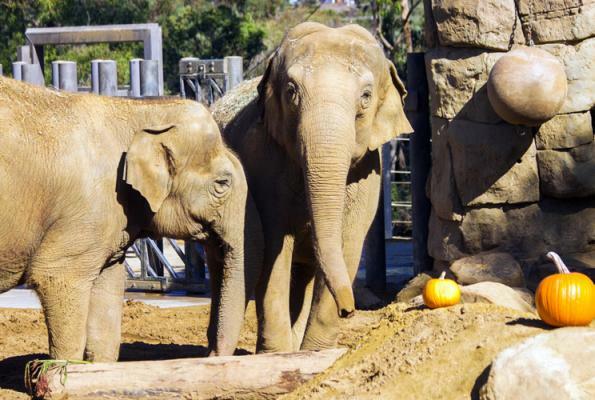 It is with immense sadness that the Santa Barbara Zoo announces the death of 47-year-old Asian elephant Sujatha (pronounced sue-JAW-tha) on Tuesday night, October 16. She was humanely euthanized in the upper yard of her exhibit, surrounded by her keepers, veterinary personnel, and support staff. Immediately following, the Zoo’s other Asian elephant, Little Mac, was given access to Sujatha to grieve her companion of 46 years. Elephants grieving for fellow herd members has been observed both in the wild and under human care. 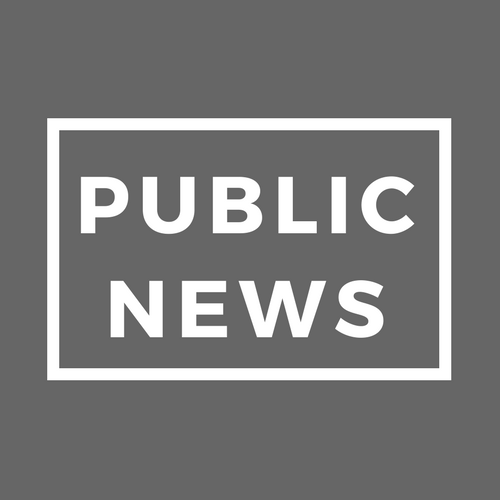 The public can make a gift in Sujatha’s memory either to the International Elephant Foundation or the Zoo’s “Greens and Trimmings” fund. Information is at www.sbzoo/sujatha. The 47-year-old female elephant had been experiencing many challenges related to old age, particularly arthritis and its associated pain. She was able to live comfortably for three years with the aid of treatments with treatment with stem cells, laser, hydrotherapy, physical therapy, and pain medication. But recently, Sujatha’s health began to decline. Keepers closely monitored her and performed regular quality of life assessments. In the last two weeks, she was observed sleeping less, using her trunk to support her weight while walking, and showing less interest in regular activities. She began to refuse food and her medications over the weekend, with subsequent weight loss. According to data from the Association of Zoos and Aquariums (AZA), the median life expectancy in Asian elephants in U.S. zoos is 46.9 years. That means that half the animals live less than that age, and half live longer. At age 47, Sujatha was very close to the median. An Asian elephant is considered geriatric around age 40. Sujatha’s body was removed by crane to a truck for transport to a necropsy performed at the California Animal Health & Food Safety Laboratory in San Bernardino which is run by U.C. Davis. “Performing a necropsy is important because it contributes to our knowledge and understanding of geriatric medical conditions in elephants,” said Dr. Barnes. Little Mac could live at the Santa Barbara Zoo or be moved, depending on the results of welfare assessments by staff and outside elephant experts. No decision about her future will be made until these assessments are complete. At the very least, Little Mac will remain at the Zoo until she is trained to comfortably enter a transport crate for relocation to join a herd elsewhere. She was last transported when she and Sujatha were moved to and from the Fresno Zoo during their exhibit’s 2004 renovation. 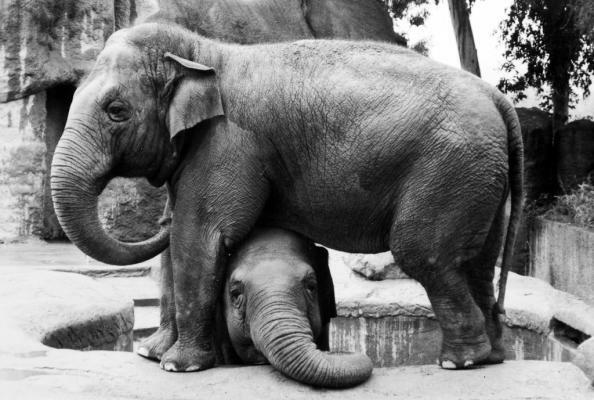 Sujatha and Little Mac arrived at the Santa Barbara Zoo in July 1972, at the age of 1½ years. They stood less than four feet high. Sujatha was born to a working mother in an Indian logging camp, and Little Mac was discovered nearby in the forest, apparently orphaned. The Zoo received them from the city of Mysore, India, in exchange for six California sea lions. The elephants’ first home at the Zoo was in a former barnyard area, now the restaurant courtyard. Their first barn was located where the public restrooms are now. 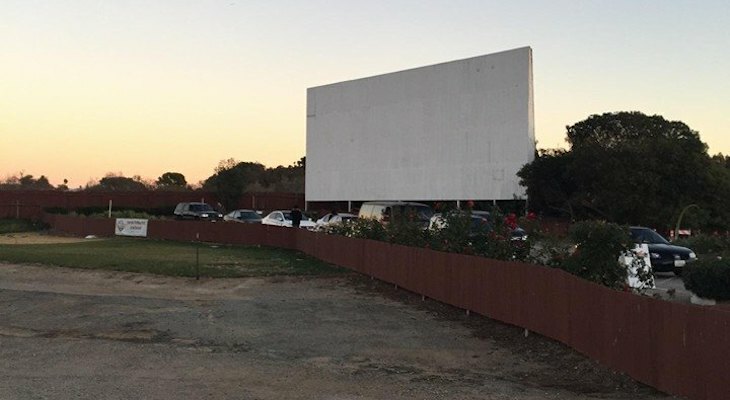 But as they grew, so did their need for space. The current exhibit was constructed in the late 1970s, and the height of the barn was raised twice as the elephants grew to maturity. Over the years, various exhibit improvements were made, such as a heated floor installed in 2000, for example, partially paid for with the proceeds from that year’s Zoo-B-Que and the Zoofari Ball. In 2004, a major renovation increased the animals’ space, enlarged the pool, improved sight lines for guest viewing, and brought the surrounding pathways into compliance with the Americans with Disabilities Act. During construction, Sujatha and Little Mac were boarded at the Fresno Zoo. A 30-foot tall permanent umbrella was installed in 2009 to encourage the elephants to reach up with their trunks to large bundles of “browse” (leaves or hay) or enrichment items high above their heads, a behavior commonly seen in the wild. A digital scale was also installed just outside their barnyard door, which allowed keepers to weigh them daily instead of yearly. In 2009, the elephants were put on a special diet to promote weight loss, as they were aging and developing geriatric medical conditions, particularly their aging joints. Each elephant lost approximately 2500 pounds over the past six years. 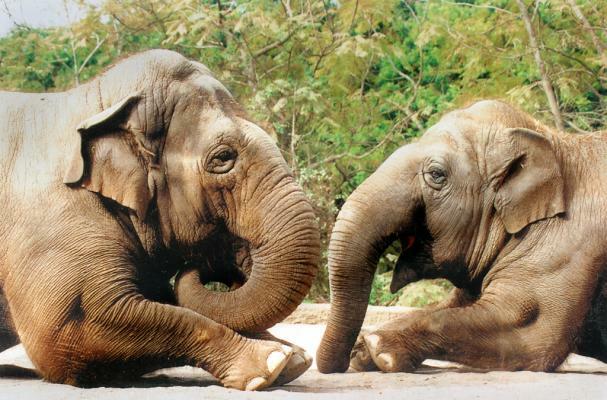 The two elephants lived together at the Santa Barbara Zoo virtually their entire lives. Neither cow was bred or produced offspring. So sorry for Little Mac losing her lifelong friend. Elephants do grieve, sounds like LM is handling it well. RIP Sujatha. One day, about 36 years ago, we watched one of the elephants trying to sneak up on a chicken pecking around in their pen. The elephant was casually backing up toward the chicken, looking back to see where it was. The chicken kept moving out of reach. We still laugh about watching the elephant sneaking up on the chicken. Weepy. Sujatha was well cared for and loved despite being in captivity. They were sweet together. Sad for Little Mac. Feel sorry for her. Hope she continues to do well. Forty-six years is a long time to suddenly be alone. Jesus needed a new angel.